We’ve definitely come to that point in a show where things are starting to get deep and interesting, and in the case of The CW’s hit superhero TV series “Arrow”, that mark hit in Season 4 with the return and resurrection of one Sara Lance, who died in the beginning of the previous season. After coming back to life via the Lazarus Pit in the last episode and emerging as “something else” that certainly isn’t the Canary we remember her to be, Sara’s restoration definitely came at a price. This week’s episode, “Beyond Redemption”, not only focuses on the aftermath and the reveal to Captain Lance that his daughter’s “alive”, but also some new dynamics and changes within members of Team Arrow, which includes Oliver’s decision to run for mayor. Welcome to Recap, and of course SPOILERS be coming. Right off the bad, the latest episode of Arrow deals with another new threat to Star City in the form of its own protectors. Members of the Anti-Vigilante Task Force that were formed and subsequently disbanded by Captain Quentin Lance have become disillusioned and desperate over the times, so they are led by Liza “Lady Cop” Warner in taking out criminals AND stealing their loot to provide for their own respective families and needs. 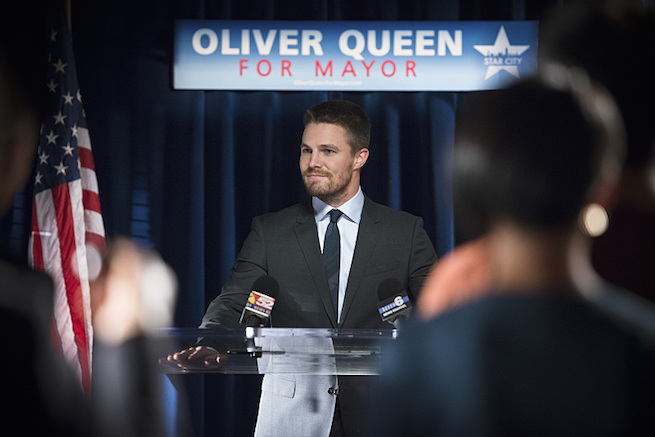 Meanwhile, Team Arrow gains a new lair – one built under the former campaigning office of Sebastian Blood and a location Oliver Queen plans to use in his bid to run for Mayor. Things start off well and good… Until the death of two undercover cops catch their attention and lead Green Arrow and friends to the rogue Task Force’s hideout. Discovering that they are bent cops, Oliver informs Quentin and the team decide to take on the squad. Unfortunately they are well prepared and manage to escape, leaving everyone stunned on what to do next. While determined to keep the peace and protect the citizens of his city, Quentin is still kept on a leash thanks to his association with Damien Darhk. After finding out from Laurel that Sara is alive, he asks his “employer” for help in restoring her mind. Unfortunately for Lance, all Darhk can tell him is her soul is gone and that he has to “put her back to rest”. This meeting caught in surveillance catches the attention of Oliver, who confronts Lance and admonishes him for his association with Darhk. Despite his reluctance, Quentin is prepared to put Sara “out of her misery” by putting her down for good. Laurel’s timely arrival stops that mistake from happening, and she reassures her father that she is still Sara and they need to bring her back. 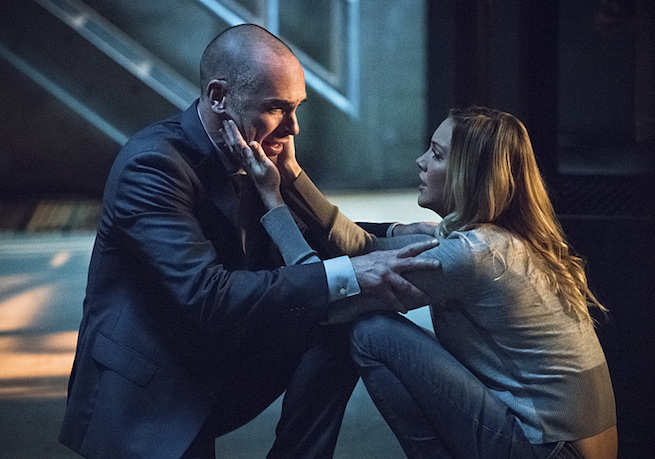 That emotional moment is cut short as Quentin exists Laurel’s place, as he is captured by “Lady Cop” and the task force. 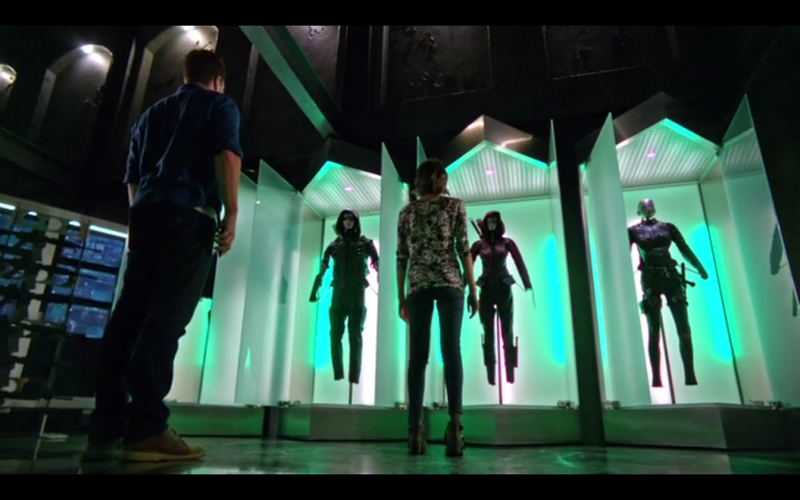 After failing to stop them, Laurel reunites with Team Arrow and go off to save Lance. The battle between two forces outside of the law nearly sees Green Arrow’s life lost at the hands of Warner, but a pretty determined Lance manages to talk her down and say that the city isn’t “Beyond Redemption”, and he has faith it can be saved. Warner and her troops stand down, and Oliver’s faith in Lance is restored, asking him to remain in Darhk’s service as a mole to monitor his activities. So there you have it, another pivotal moment in the life of Team Arrow that sees every part of it grow and seeking a way to help others who feel that everything is beyond redemption. Captain Lance gets the spotlight this time around, and Paul Blackthorne is just excellent in that role. We also see the Sara Lance resurrection story continue on, and while Oliver hasn’t found out yet he soon will come next week when a certain “Con Man” comes in to help him and the team out as “a favor”. 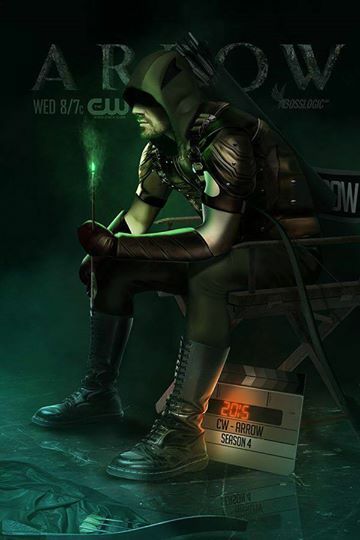 Constantine’s coming to Arrow next episode! Catch Arrow every Wednesdays on The CW and on Jack TV and Warner TV on their respective schedules.